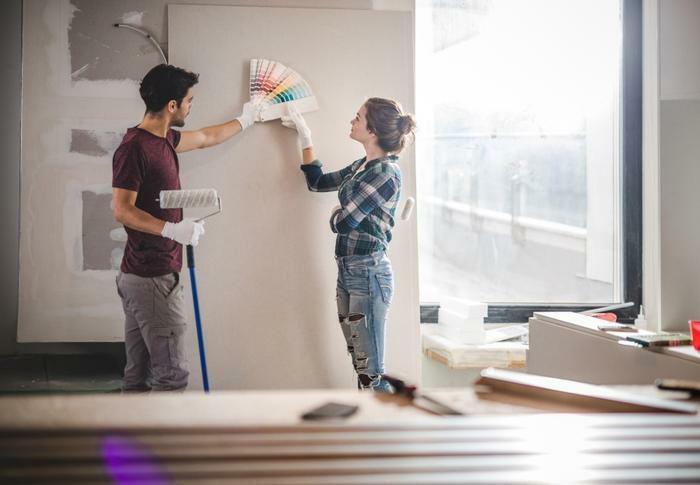 Conventional real estate marketing wisdom holds that the best way to sell a house and get it in “move-in condition” is to fix everything that needs repair and apply a fresh coat of paint. But a new survey from real estate marketplace realtor.com has turned that notion on its ear. It found that 60 percent of consumers who plan to shop for a house this spring want one that needs some work. It’s not that today’s buyers are eager to roll up their sleeves and do some manual labor. The survey finds that today’s shoppers are hoping to save money by selecting a house that needs some TLC. Too many homes in “move-in condition” are now out of their price range. "The combination of rising home prices and limited entry-level homes for sale is prompting many home shoppers to consider homes that need renovating," said Danielle Hale, realtor.com's chief economist. Hale says today’s younger shoppers are also more confident they are up to the task of a home renovation project after reading tips on Pinterest and watching various shows on HGTV. The survey found that nearly three out of five home shoppers under 55 years-old are considering a home this spring that needs renovating. Consumers 35-54 years-old are the most likely to take on a fixer-upper. Hale says this group is most likely to already own a home and have experience with some home maintenance chores. In the wake of the housing crash, many people purchased distressed properties, but in most cases they were investors hoping to flip the homes for a profit or convert them to rental properties. But with today’s high home prices, it appears the majority of people looking at homes in need of renovating plan to live in them. Earlier this month, realtor.com reported that the median price of a home in the U.S. reached $300,000 for the first time ever -- a price point far beyond what many can afford. "Heading into spring, U.S. prices are expected to continue to rise and inventory is expected to continue to increase, but at a slower pace than we've seen the last few months as fewer sellers want to contend with this year's more challenging conditions,” Hale said. “A buyer's experience will vary notably depending on the market and price point they're targeting." For home sellers, this trend might work in their favor, especially if the home needs repairs. If the realtor.com survey is to be believed, then there is a growing segment of buyers that may find your house attractive if you do nothing to it. Just keep in mind, they may find it attractive because they believe they can get it for a lower price. As long as you’re willing to deal, your fixer-upper may sell faster than you think.